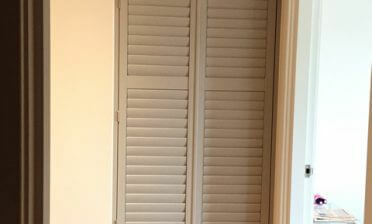 Ben and Jamie were in Coulsdon, Surrey to fit some new shutters for a homeowner. The shutters were to go in the living room area facing out onto the street. As with most window shutters we fit in this location, the client is looking for a perfect solution for getting the most out of natural light and privacy. 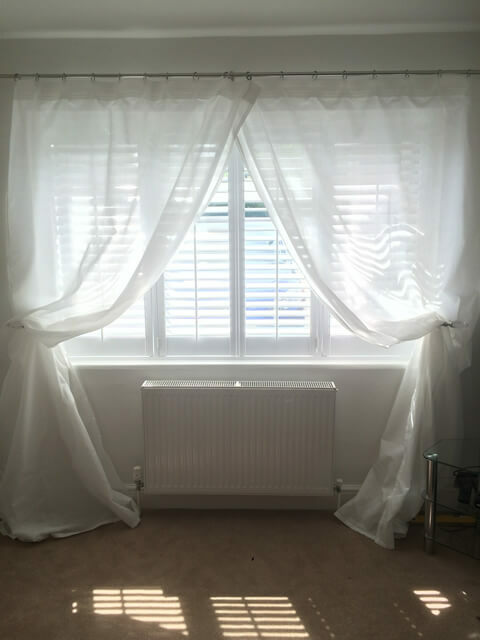 All our shutters allow for maximum privacy and blackout when required, but also full adjustment of natural light into the room. By simply moving the louvres you can control the light and airflow into the room by just the right amount throughout the day. 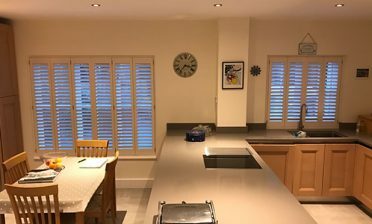 The shutters were created using MDF in a full height style from top to bottom and are hinged together in a way that allows them to fully open quickly and easily when needed. 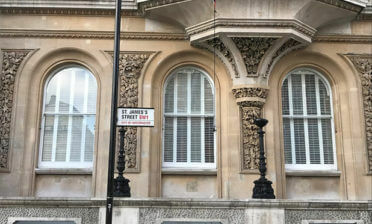 They were created using 64mm louvres with a central tilt rod on each panel for adjusting the louvres. We finished the shutters in pure white paint with matching white hinges which works seamlessly with the window and existing decor in the room. The client opted to also use curtain netting in front of the shutters which is great to pull across when the shutter louvres are open!